We have a number of slabs specially priced. Many of these slabs have organic features and require a master woodworker to bring out the natural beauty of each piece. FCW. Claro walnut table top with 2 crotches. A lot of work has gone into this beauty already. We'll take the best offer we get on this one! All these slabs have been kiln dried. 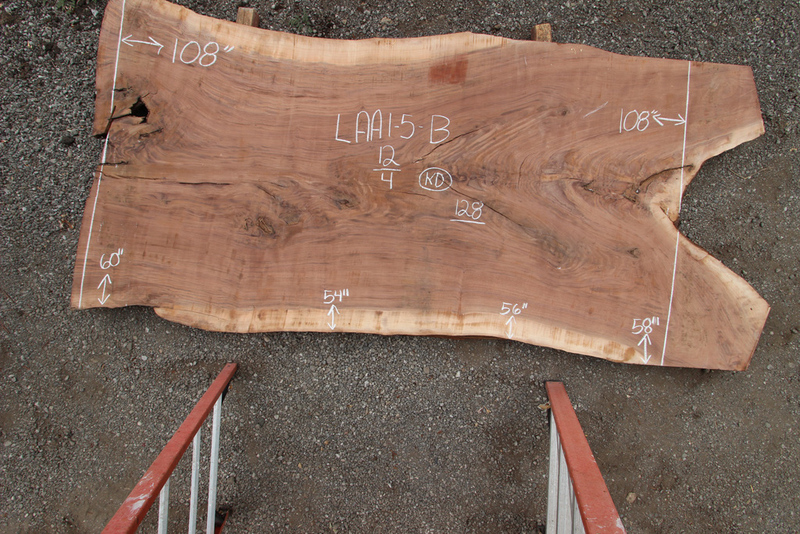 Please call for more details.Wost of these slabs are large walnut cuts. 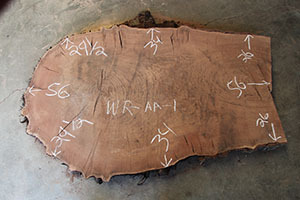 Slabs labeled as MEWAL1-7 are cut from the same log and slabs labeled as MEWAL1-1 - 1-5 are also cut from the same log and milled in 2008. 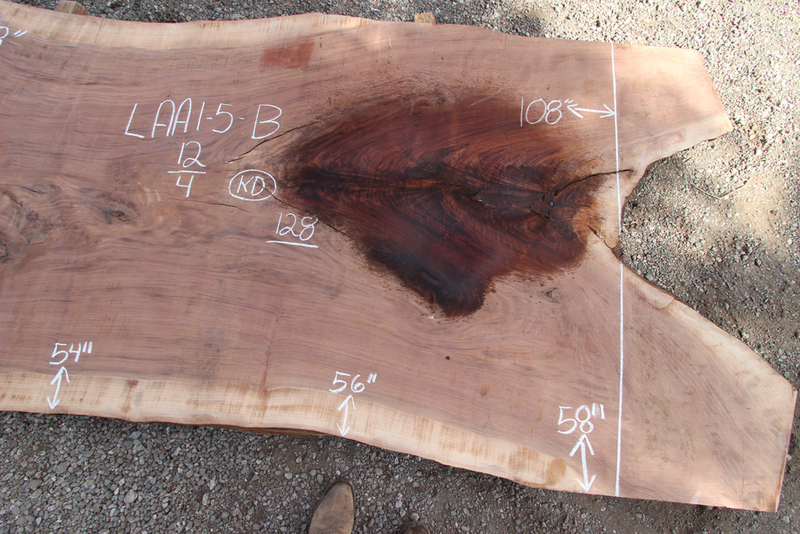 If desired , we can saw off the limb on these slabs. 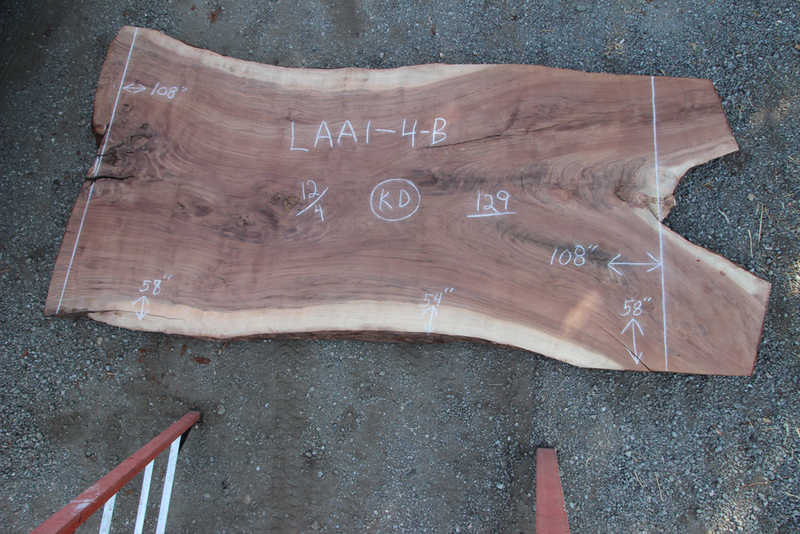 LAA1-4 Claro walnut slab 55-60"x106"x12/4" 126bf. 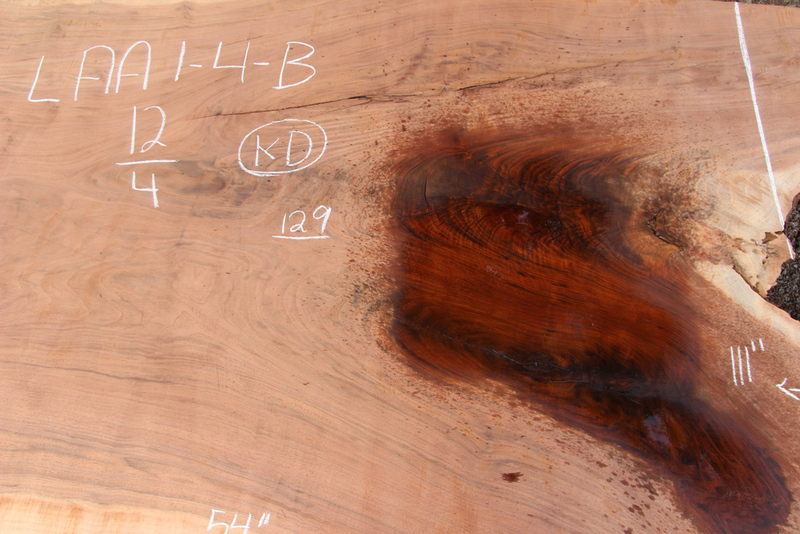 Call for price LAA1-5 Claro walnut slab 126bf. These slabs are available at a discounted price. Slab names are recorded on the slab surface. Please call if interested.